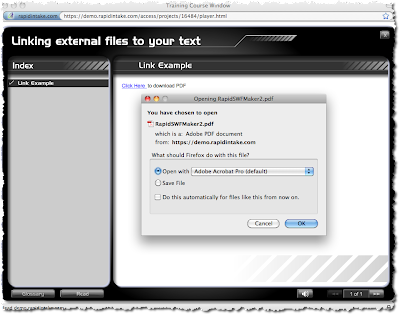 When creating eLearning courses you may often want to attach external files to your course pages. For example, if you want the user to be able reference a PDF or download a PowerPoint for later reference or use. First log in to your account. 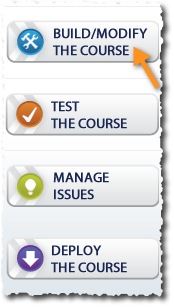 Once logged in go to the course you want to edit and click on "Build/Modify the Course". This will launch the authoring environment. Once the course is launched move on the step 2. Note that if you do not already have a course created you will need to create a new course in Unison. 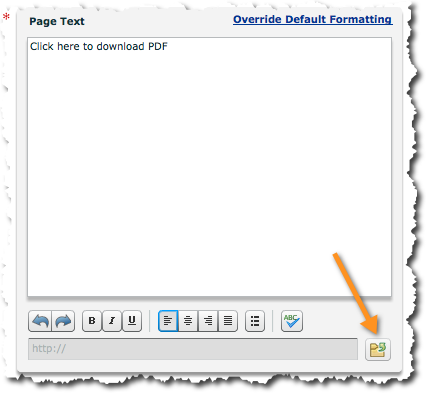 Now that you have launched your course you will now need to create a link on one of your pages that will prompt the user to download the external file. Usually this is done by creating text along the lines of "Click Here to download the content" with the "Click Here" being the click-able link. You can use any page template that has an HTML text input (pretty much any page that features text), and then type in the phrase that you want to be the click-able link as seen below. In this example I am using just a normal Text page. Usually the HTML text area is on step 2 of the template. Now that you have you typed in your phrase, highlight the part of the phrase that you want to be the link. 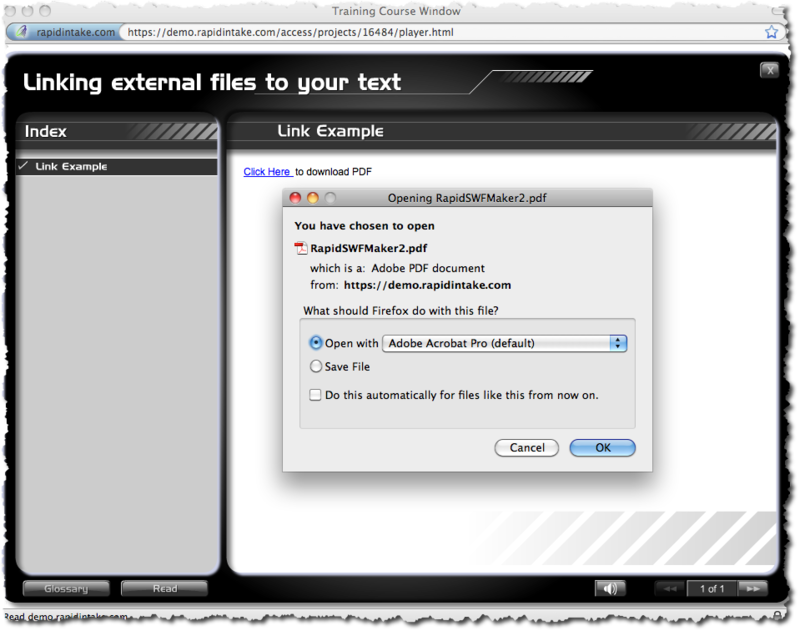 Once that is highlighted click on the folder icon down below, next to the URL field that starts with "http://"
After you click the folder icon, the Media Manager should then appear. On the top right hand side of the Media Manager there is a category labeled "Other". 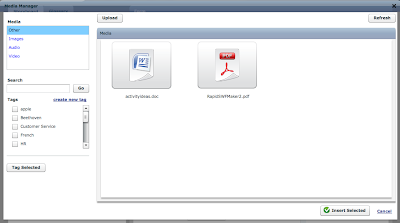 In Unison you can upload to the Media Manager any type of file that you want to use as an attachment. 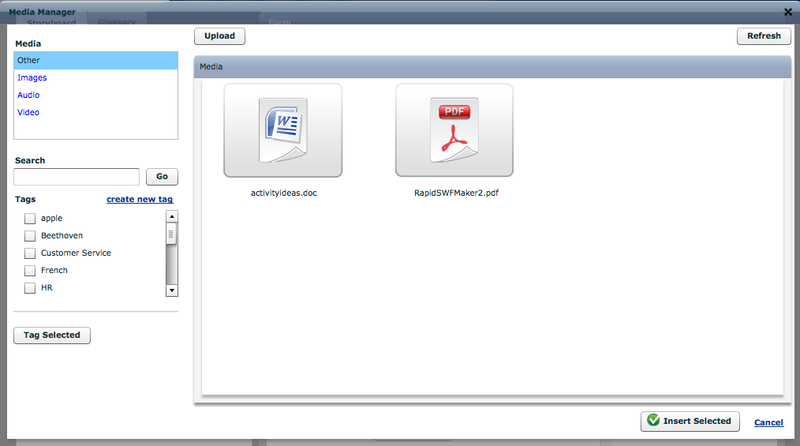 In this "Other" category you can see all the available files that you can use as an attachment. Up at the top you can also see an upload button. This allows you to upload any document including Word docs, Excel docs, PDFs, or zip files. Now that you have your link established, you should see that text has now turned blue and is also underlined. If you preview your course you should see your text in your course and that part of your text will now be a blue hyperlink. If you click on that link it will then pop open your document that you attached to that link. Just follow the same steps to attach other types of documents to your Unison eLearning courses. Watch the video below to see how an attachment is made in Unison.